It’s not quite the end of the season, but the end felt near on a rainy Saturday trip to Yellowstone National Park. 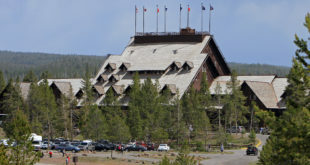 The Old Faithful Lodge in Yellowstone National Park has closed for the season, along with several other park facilities. The Craig Pass between Old Faithful and West Thumb Geyser Basin has reopened after a bout of inclement weather. Several roads in Yellowstone National Park have reopened after closing due to inclement weather and icy conditions. Due to recent wintry weather, several roads in Yellowstone National Park are closed to travel. Additional National Park Service staff have been dispatched to deal with traffic congestion in Yellowstone National Park.